Geoffrey Shisler is a man of many parts. Rabbi, Cantor, Educator, Composer, and Magician. 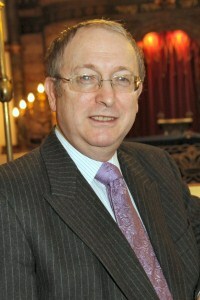 Rabbi Shisler retired in 2014 as Rabbi of the New West End Synagogue in London, UK, where he occupied the pulpit from 2000. This is one of the most beautiful synagogues in the world and is a National Monument, having been awarded Grade I listing by English Heritage. Prior to that he was Rabbi to the Bournemouth Hebrew Congregation, on the south coast of England for seven years, and before that he served the Kenton Synagogue as Chazan/Minister for twenty years. Rabbi Shisler commenced his career as Cantor of the famous New Synagogue, Egerton Road, Stamford Hill London N.16 where among his predecessors were the illustrious Jacob Goldstein and Ephrayim Rosenberg. As Cantor, Geoffrey Shisler has conducted services throughout the Metropolis and although now retired, his services are still in demand. In 2009 the Cantors’ Assembly of Montreal published his first book of compositions, Shiru Lo Shir Chadash and Book 2 is also now available.His publication ‘T’nu Kavod LaTorah’ (‘Give honour to the Torah’), a handbook containing numerous prayers relating to being called to the Torah, is in widespread use in many Synagogues around the world. Having qualified as a young man as a state teacher, Rabbi Shisler has been a passionate educator throughout his career. He taught Jewish Studies at all levels and for some eleven years he taught Cantorial music and Nusach Hatefillah (traditional prayer modes) at Jews’ College, London. He has also trained many people privately. He served as an inspector for Pikuach, the organisation that inspects the Jewish education in Jewish Schools, and was also a judge for the National Teaching Awards for a number of years. He is also a Magistrate. Geoffrey Shisler is an Associate member of The Inner Magic Circle with Silver Star. The only Rabbi in the society! I absolutely love your informative essay on Nusach and your rendition of these examples of Chazanut. I live in Cape Town, S.A. If you ever visit Cape Town , you must please give us a concert! I sing myself and music plays a very important part in my life. I would like to thank you for the page on Moshe Korn who was my cousin. I remember him as a gentle and sensitive man with a similar humour. I also remember his beautiful voice. Sadly, I no longer have the recordings of him. I had 3 recordings he made in Berlin. I wonder if you have any recordings of him singing liturgical pieces? GHe was especially loved for his Kol Nidre.